Given the poor understanding of human diseases and the lack of proper medicine, epidemics were common occurrences in the eighteenth century. The hot, humid weather of the West Indies promoted insect-borne diseases and weakened the bodies of men, thus making epidemics of yellow fever, malaria, and other diseases nearly annual events. 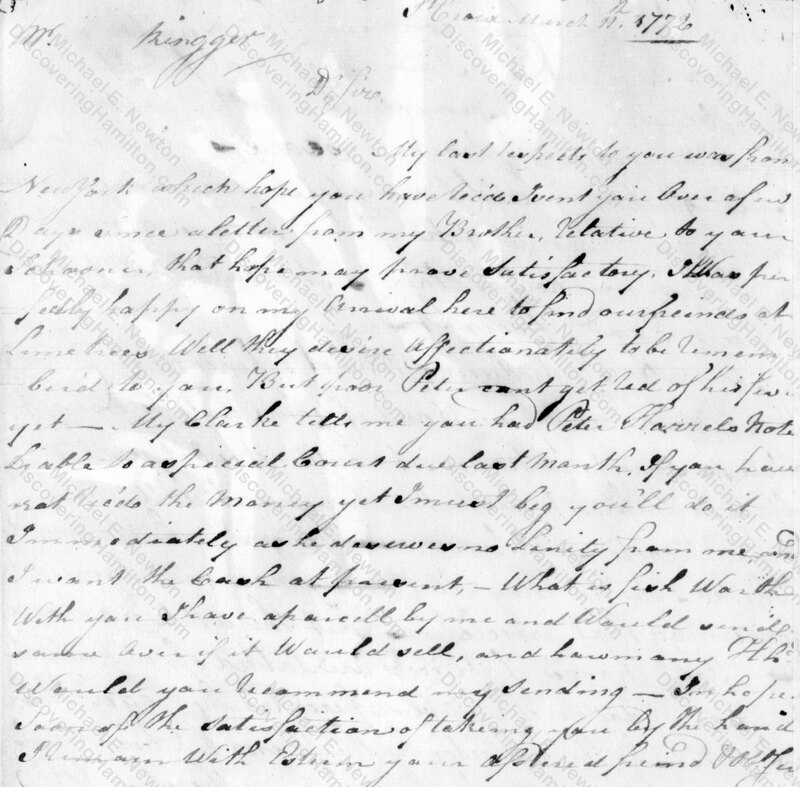 On October 15, 1771, Nicholas Cruger left St. Croix for New York “by reason of a very ill state of health.” Details of Cruger’s illness are not given in any known record, but it is possible that his ill health was part of a larger epidemic that was hitting St. Croix. 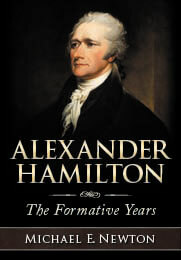 Nicholas Cruger put Alexander Hamilton in charge of his mercantile company until he recovered and returned to St. Croix. Thus, if Cruger’s illness was part of a larger epidemic, it is to this that Hamilton owed a significant share of his meteoric ascent. 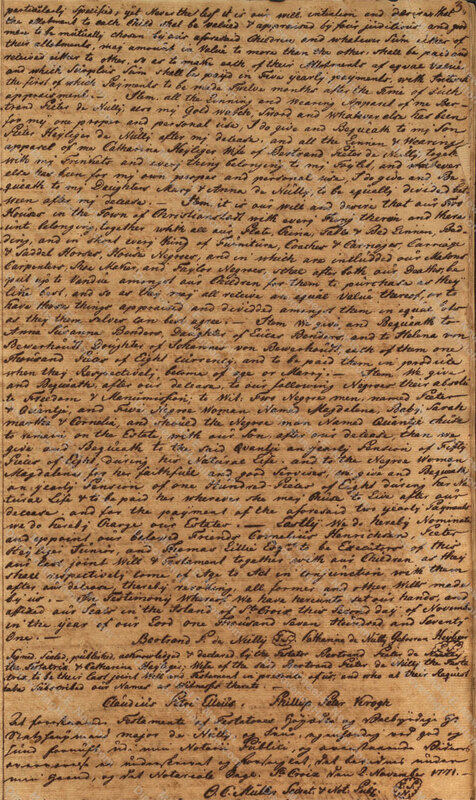 Less than three weeks after Cruger’s departure, Alexander Hamilton fell ill. On November 4, 1771, Hamilton wrote to Nicholas Cruger, “I am so unwell that it is with difficulty I make out to write these few lines.”  Subsequent letters show that Hamilton recovered from this illness within a few days. Indeed, Bertram Pieter de Nully was so ill that he and his wife made out a new joint will just two days prior to Hamilton’s letter. 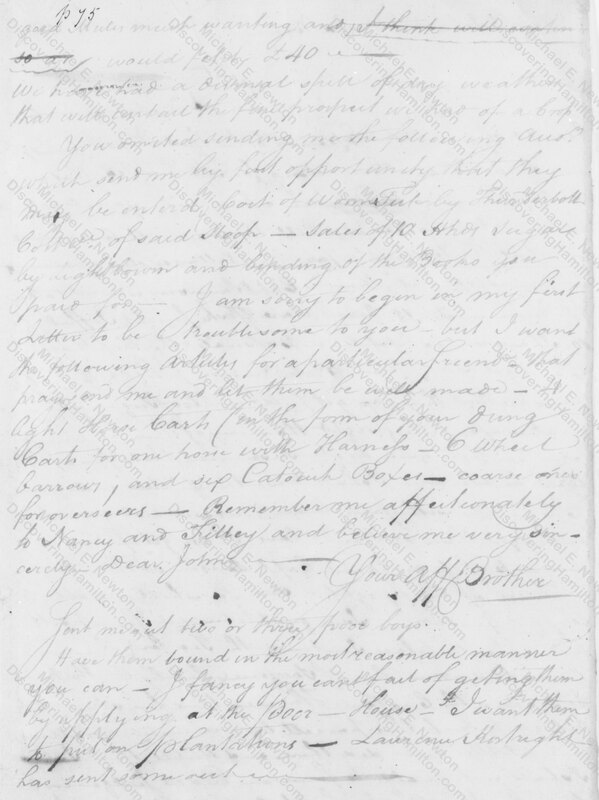 Within three days of Hamilton’s letter, by the seventh of November, Bertram Pieter de Nully had passed away and the probate court had taken up his estate. Johannes van Veen died within a week and was buried on December 5, 1771. There is, in fact, no evidence that St. Croix had been hit by an epidemic. It is possible that each person who became ill or died contracted a different illness and it was just happenstance that St. Croix was so “sickly” during this five month period. However, when one considers that Nicholas Cruger was “very ill,” Alexander Hamilton was “so unwell,” Bertram Pieter de Nully was “so ill” that he died, Johannes van Veen died after an apparent illness, “poor Peter” caught a “fever” he couldn’t get rid of, and Nicholas Cruger lost four percent of his friends, it is logical to assume that there was “a widespread occurrence of an infectious disease in a community at a particular time,” which is the very definition of an epidemic. Alexander Hamilton to Tileman Cruger, November 16, 1771 in The Papers of Alexander Hamilton 1:12–14. 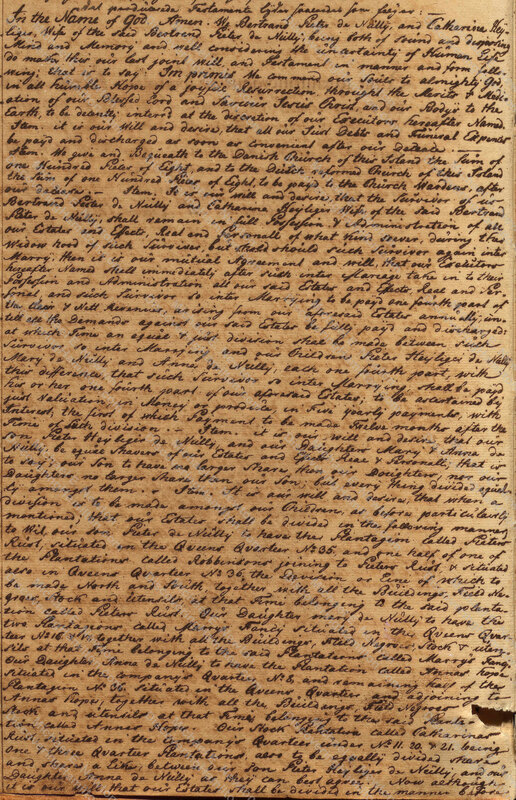 Alexander Hamilton to Nicholas Cruger, November 4, 1771, in The Papers of Alexander Hamilton 1:10–11. 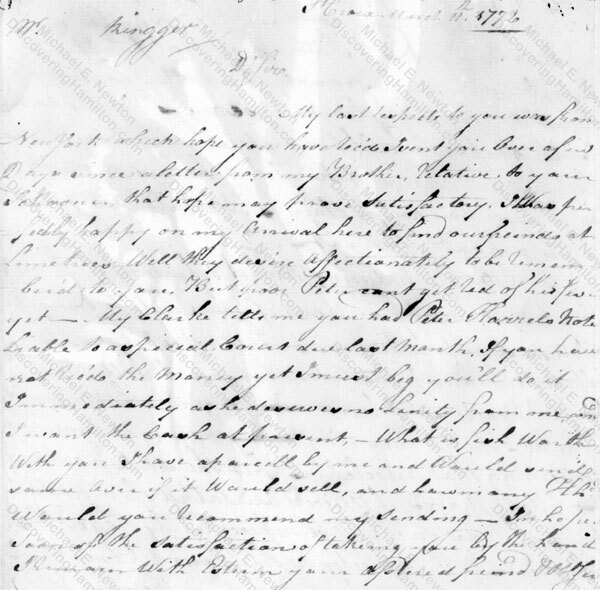 For instance, see Alexander Hamilton to Nicholas Cruger, November 12, 1771, in The Papers of Alexander Hamilton 1:11–12, in which Hamilton made no comment about his health, apparently having fully recovered. 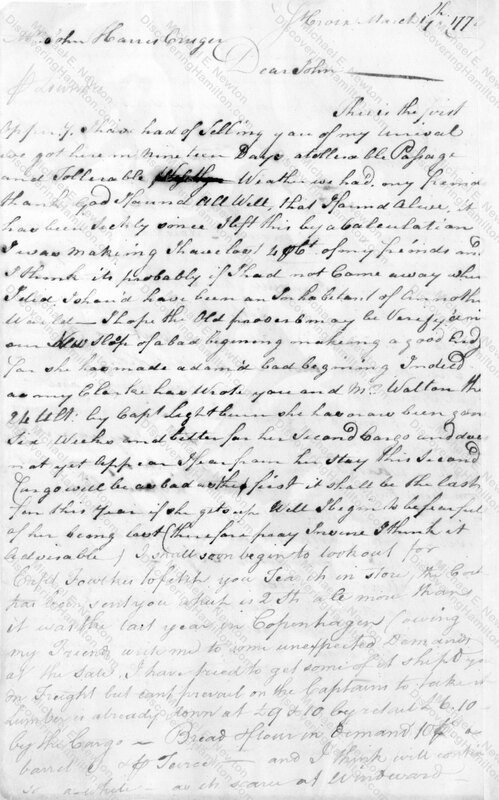 Alexander Hamilton to Nicholas Cruger, November 27, 1771, in The Papers of Alexander Hamilton 1:16–17. His name is spelled many different ways in the various records, but his original signature reads Johannes van Veen. © Posted on July 9, 2018, by Michael E. Newton. Please cite this blog post when writing about these new discoveries. 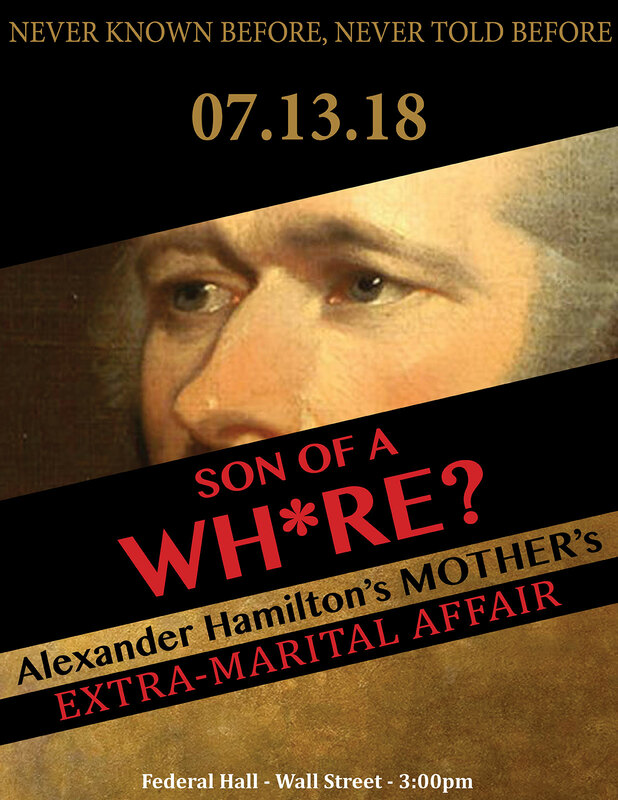 Due to this week’s Celebrate Hamilton events organized by the Alexander Hamilton Awareness Society, which includes my presentation on July 13, there will be no blog post next week. But I look forward to seeing many of you at the various Hamilton events later this week.